Burlington may be Vermont’s most bustling city. Still, ‘bustling’ by Vermont standards means something much different than the hectic, fast pace of most east coast cities. You’ll instead find Vermont’s laidback, inviting and friendly vibe encapsulated in Burlington’s landscape, on terrain both natural and commercial. Looking to bring home a little of Vermont’s unique vibes? Try one of the five shops we’ve picked below. Do you like digging through crates of records? Or maybe you prefer to read every spine in your favorite section of a used bookstore? Either way, you’ll be happy at Speaking Volumes, a double-headed hydra of a store with a monster-sized inventory that requires two buildings to store all its wares. The shops are across the street from one another. 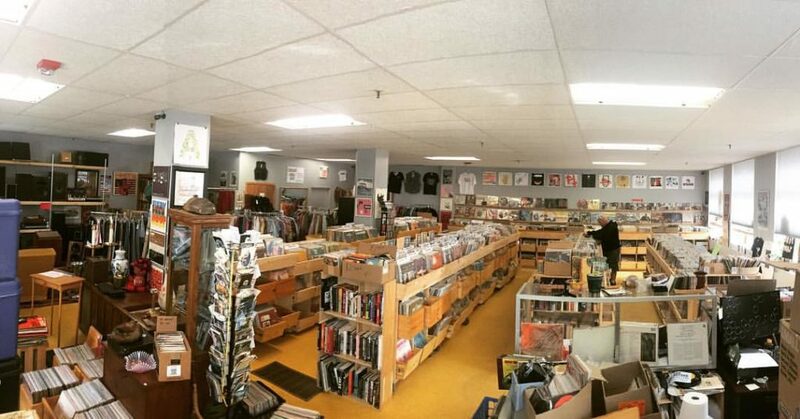 One offers stacks of vintage records and stereo equipment, while the other lets you peruse thousands of titles from cookbooks to psychology. Did we mention there’s a lot to browse? 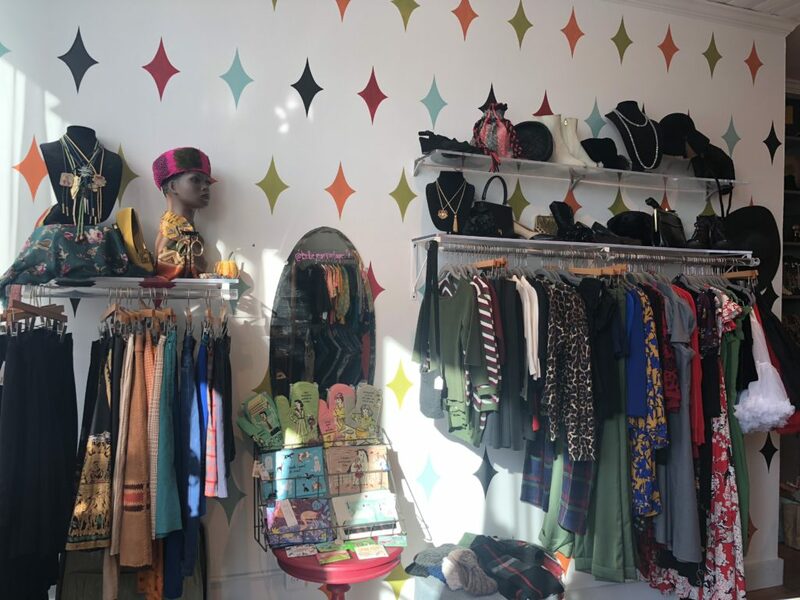 Sitting near the Burlington waterfront, Billie Jean Vintage is a bright boutique specializing in sartorial goodies from the past. Maybe you’ll encounter chunky costume jewelry, fruit-print dresses or oversized dangle earrings. Decades represented run from the 1920s through the 1980s, though “retro-inspired new clothing” is also stocked here. Sizes are equally diverse, spanning XXS to 3XL. Find something cute that doesn’t fit? Billie Jean’s in-house designer can help tailor clothing for you, ensuring everyone has a chance to embody the vintage look they want. Burlington’s Church Street marketplace is a must-visit destination when exploring the city. So it makes sense that a souvenir store dedicated to Vermont’s unique “weirdness” would be located on this heavily-trafficked street. The tchotchkes here are just that —tee shirts, hats, mugs and stickers— but are more aesthetically pleasing and less corny than usual gift shop fare. How about a tiny mason jar shot glass to remember your time in the Green Mountain State? 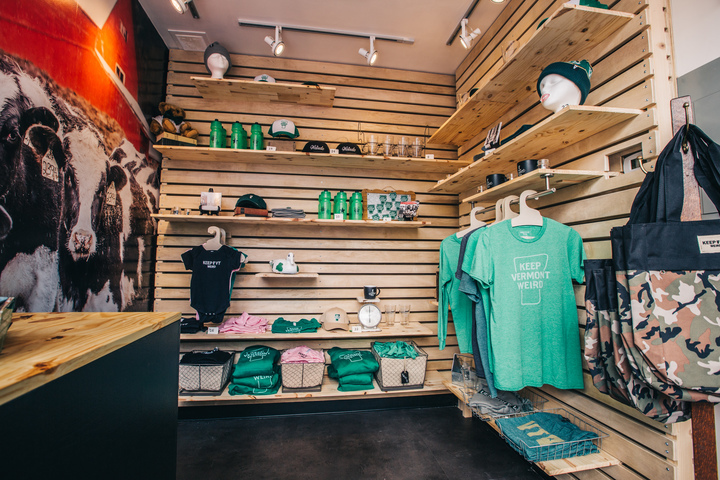 Or you can keep it simple with a t-shirt featuring both the store’s title and the state’s signature hue. Perhaps even more Vermont-y than a willful weirdness is bone-chillingly cold weather. 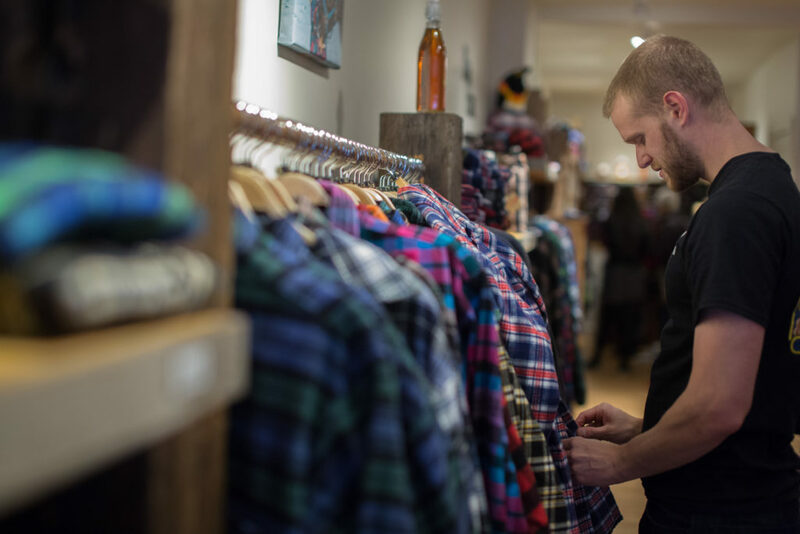 Enter the Vermont Flannel Company, a local franchise that promises protection from the unforgiving elements in pajama, blanket or shirt form. The Burlington location is on much-travelled Church Street, so it’s easy to tack onto your itinerary if you’re shopping nearby. Given the company’s reach, the inventory and selection are sizable, from hoodies to pants. No matter what you purchase, expect handcrafted quality, “minimal shrinkage,” and “double-brushed” fibers for maximum coziness. Could there be a more traditionally fancy gift than a chunk of shiny, glitzy rock? The Crystal Cottage is a showcase of such lapidary delights, a colorful wunderkammer as beautiful to look at as it is to shop. Crystals and minerals fill the store, along with an assortment of likewise elegant fare, such as jewelry, candles, accessories and gifts. But you’re probably here for the stones. Some recent beauties the store has stocked include faceted citrine, raw ocean jasper, blue lace agate and honey calcite. Yes, they look as pretty as they sound.